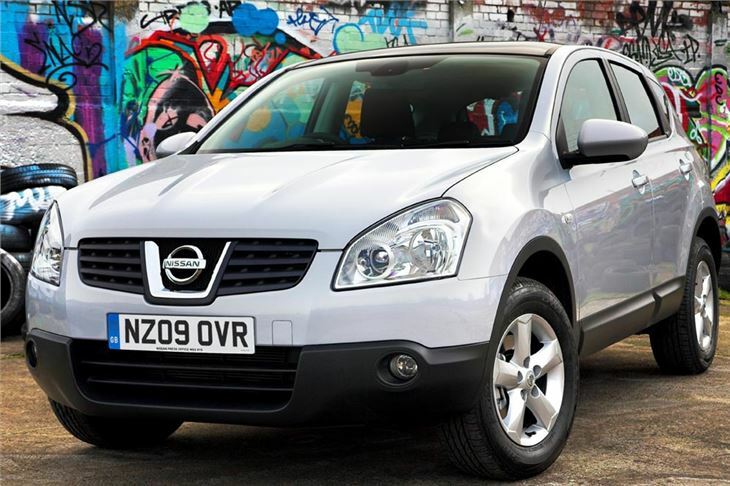 You may not be able to pronounce it, but Nissan Qashqai has been a not entirely astonishing success. It has already sold exactly twice the anticipated number. No less than 5,000 are now on UK roads. To further put the cat among the pigeons, the fourth and fifth most numerous conquest sales are to former owners of BMW 3-Series and MINIs. 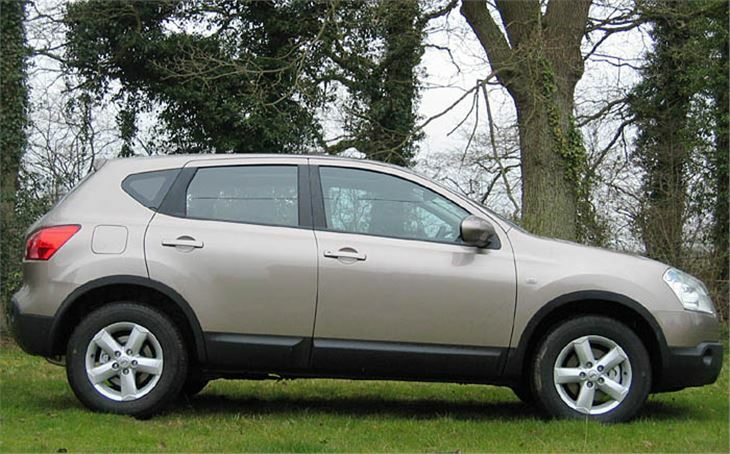 So while the idea of a car that looks like a small SUV, but isn’t necessarily, may not at first have seemed very appealing to motoring journos, it has obviously pressed the right buttons for around 1,000 buyers a week. The car comes with 1.6 or 2.0 litre chain cam petrol engines, a belt cam 1.5 litre Renault diesel and, from June 2007, a new 2.0 litre chain cam diesel engine. The 1.6 has a 5-speed manual box, while all the others come with 6-speed manuals. A torque converter CVT is optional with the 2.0 litre petrol engine and a new 6-speed torque converter auto will be with the 2.0 litre diesel. 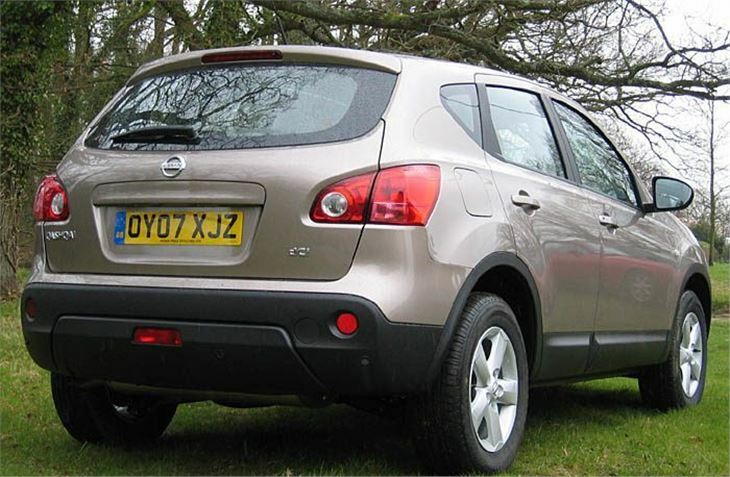 Both 2.0 litre petrol and 2.0 litre diesel can be ordered with four-wheel drive with either transmission. 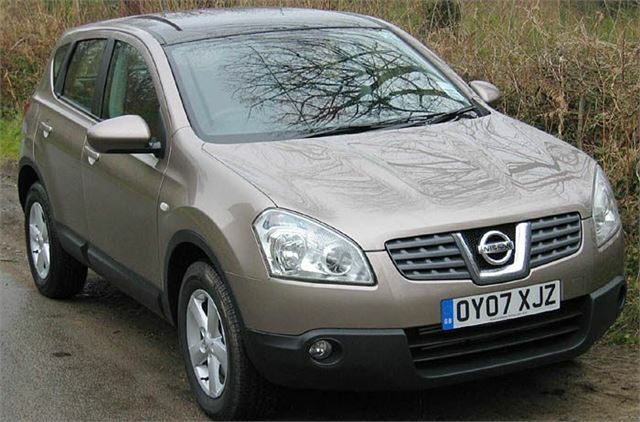 But most Qashqais already sold have been ordered with two-wheel drive. 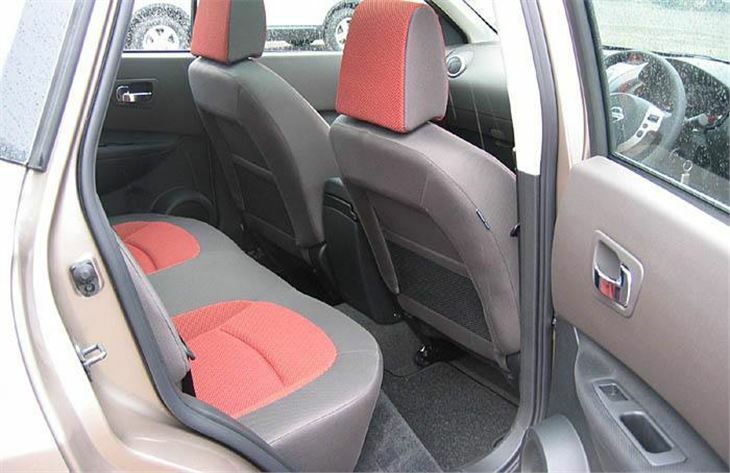 The driver’s seat has an impressive range of adjustment and its height alone can be raised by as much as 6”. 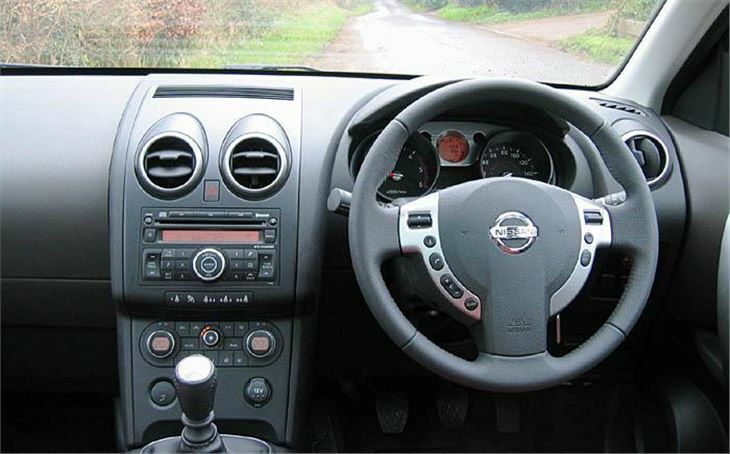 The steering wheel is height and reach adjustable and however you set it does not obscure the instruments. 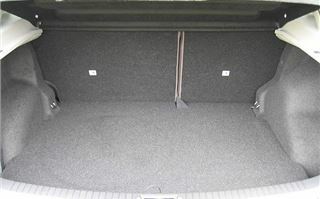 Though shorter than a Focus there’s decent head and legroom front and rear and an impressive 410 litre boot. 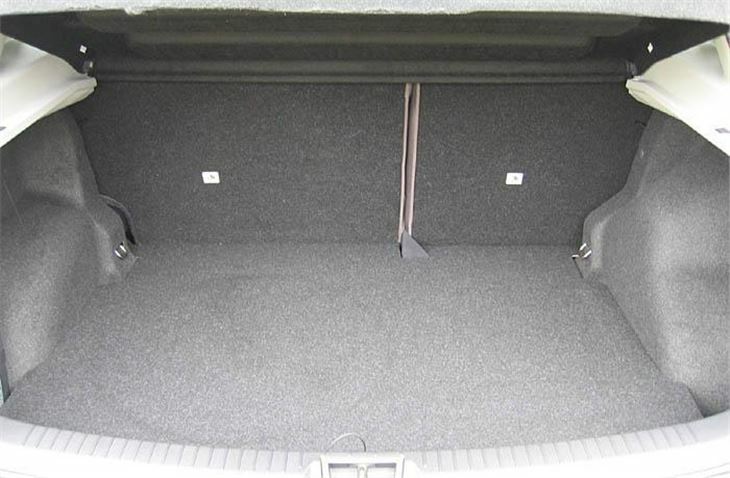 But there’s not a lot of headroom in the back and piggy in the middle draws a very short straw. The first engine I drove was the 106PS 1.5 DCI in Acenta trim level with 16” wheels and 215/65 tyres. I found it very comfortable with plenty of seat squab thigh support. The 1.5 diesel has its work cut out, but it’s helped by the 6-speed box and you soon find yourself making decent progress. Handling is fine considering the relatively high centre of gravity. It’s no Focus, but it’s neat and tidy with good steering feel. What is very impressive indeed is the ride comfort. The suspension and those deep 65 profile 16” tyres absorb ruts, potholes, broken surfaces and speed humps very well indeed. You are very effectively isolated from the poor state of many of Britain’s roads. Next up the 140PS 2.0i petrol four wheel drive 6-speed manual in Tekna trim level with 17” wheels and 215/60 tyres. The engine is quieter, of course, but a bit characterless. The combination of slightly lower profile tyres and part-time four wheel drive gave a bit more grip on corners, but C02 rockets to a Band F 204g/km and the ride comfort is not as good as on the 215/65 x 16s. And last, for the time being, the 140PS 2.0i petrol four-wheel-drive torque converter CVT-6, again with Tekna trim and 215/60 x 17s. It’s quite expensive at a list of £20,599, plus £1,350 for the satnav and £425 for metallic paint. And it’s difficult to see which of the six selectable ratios you are using in the small, dark LED screen between the main dials. 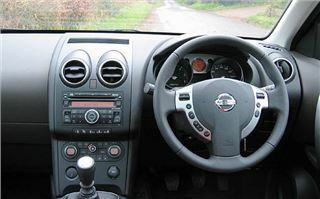 But, once you get used to the characteristics of the CVT and leave it to change ratios itself, it’s more pleasant to drive than the manual and romps along back-roads very well at the national speed limit. The CVT is actually more efficient than the manual at getting the power down and CO2 is down very slightly at 210g/km. Rover tried it with the StreetWise. VW tried it with the Polo Dune. Chrysler is having a go with the Dodge Caliber. Honda was half successful in the past with the HT-V. 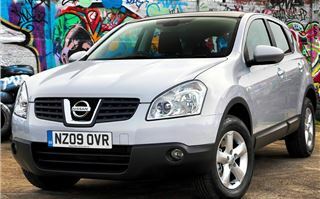 But with 5,000 sales under its belt in the first five weeks, Nissan seems to have cracked it with the Qashqai. No other car copes as well with the mess that 11 years of Labour government have left our streets in. While at the same time getting away with as little as £115 a year in ‘road tax’. It looks like the ‘Squashy’ is here to stay.